Neat Motive SX3 review | What Hi-Fi? It’s not unfair to expect big things from speakers as small as the Neat Motive SX3s – not when their five-star predecessors, the Motive 3s, have kept us entertained for the best part of a decade. The SX3s belong to the next generation Motive range – ‘SX’ – and certainly have big shoes to fill. 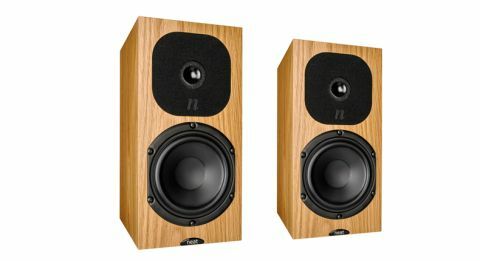 Available in walnut, black oak, natural oak and satin white finishes, the SX3s keep the distinctive ‘Motive’ look, but there are two obvious differences. On the front, the black grille mounts have been ditched for a cleaner façade – a welcome improvement. Swivel them around and you’ll notice Neat has gone for single terminals this time round, although a second set of bi-wiring terminals are available on request (for a fee, of course). Internally, the original titanium dome tweeter has made way for a new aluminium unit – black anodised for stiffness – which Neat says brings more natural tonality and a sweeter high-frequency response. It’s now also separately enclosed from the mid/bass driver to minimise interference. The crossover has been upgraded using components that Neat says are closer in quality to its higher-ranging models. Cabinet bracing has been improved to further reduce colouration, with minor bass tweaks for more control and extension. As you’d expect from cabinets no bigger than two encyclopaedias back-to-back, they can’t summon the horsepower or scale of their larger peers. The atmospheric thunderstorm in Dire Straits’ Brothers in Arms doesn’t feel quite so looming as when hollered out from the KEF R300s or ATC SCM11s. Still, they more than exceed expectations for their size: soaring guitars can be felt overhead, never feeling restricted for space or height. Couple that with impressive detail and dynamics and a hugely expressive midrange, and there’s no choice but to stay all ears for the track’s seven-minute duration. But the real pinnacle of the Motive SX3s’ talents is their true devotion to having a good time. Play Macklemore & Ryan Lewis’s Wing$ and they don’t need spurring on, pelting through the propulsive rhythms with crisp precision and timing. As Macklemore gets his anti-consumerism message across, his vocals are full of conviction and dynamism, while the dense instrumentals that weave around them never sound convoluted or ill-timed. With fast, insightful mids, a pithy, clear treble and taut, punchy bass, the delivery is as on the ball with shakers as it is drum beats. The rear-ported SX3s sound more solid with support from a rear wall. Of course, putting them on decent stands and giving them no less than 24 hours’ run-in will seal the deal. The Neat Motive SX3s may be small, but they aren’t without attitude. If you’re tight on space, or don’t need a particularly overpowering sound, these articulate, fun-loving speakers should be a certain shoo-in for your shortlist.